ADATA 16GB - UV-131 Metallic Jet Flash - Flash Drive 3.0 - BlackSeamlessly crafted with a chromium-g..
Kingston’s DataTraveler Generation 4 (DTIG4) USB Flash drive features USB 3.0 for quick and easy tra.. 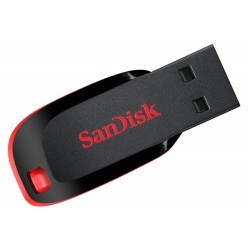 The SanDisk 16GB Ultra Flair USB 3.0 Flash Drive comes with USB 3.0 technology that moves data to yo.. Secure and reliable portable storage with USB 3.0 performance and high capacities make it ideal for .. The KINGSTON USB Flash Drive sports a the trademark KINGSTON design in professional KINGSTON blue co.. The HP X730W USB 3.0 Flash Drive is designed to store, transport, and share files and documents. Its..